The SIPA | BROKER BEWARE ! The recent raid of Trump attorney Michael Cohen’s offices should have every broker and owner of a brokerage firm trembling today. When news broke of this on Monday, our first thought was this is an outrageous and unconstitutional act that puts us all in uncharted waters. Attorney client privilege (ACP) appeared to be the last bastion of hope for our constitution to survive and indeed over the last 20 years in our securities industry the regulators have not dared to encroach on this sacred relationship and right. Today might be a good day to call your counselor and start asking what exactly they have in their files that could incriminate you. As members of FINRA, you all know that basically you gave away certain rights by applying for that series seven license and filling out that form U-4. You can be charged with a crime (even fraud!) without sufficient evidence or a trial of your peers, they can search everything from your emails, home computer, cell phone bills, bank statements, and can come unannounced to search your office without a warrant. However the one thing that was always respected was ACP. When searching your e-mails, any email marked ACP did not have to be produced and in very complicated cases the e-mails or documents marked ACP would have to go through a very complicated process to be introduced into a hearing. With the FBI raid yesterday our government has sent a very scary signal to all of us across America that nothing is sacred. In their haste to ‘GET TRUMP” at any cost, they may have now exposed everyone in the financial industry. There have been many Securities Attorneys in our industry who have been thorns in the side of regulators for many years. They have defended not only the innocent and ignorant, but in some cases, the miscreants. Some have done it rather successfully and have built a reputation as go to guys when the proverbial poop hits the fan. Imagine however what would happen if FINRA in conjunction with the SEC (their federal government oversight agency) decides they have reason to believe a crime has been committed of securities fraud or misappropriation of funds and suddenly your attorney’s office is raided and all your files are now in the hands of your district director? While they are claiming to be looking for information on a ponzi scheme, they notice that this same lawyer has communication with John Doe of ABC securities regarding a tax shelter or some offering memorandum that was not accurate. Will they be able to start investigations based on John Doe contacting his lawyer for help? This is a scary new world and it is our sincere hope the higher courts will throw this out based on this very necessary right of attorney client privilege. This is not relegated strictly to the securities industry either. Imagine how easy a criminal prosecution would be if you can raid the defendant’s attorney office over a high profile client like Trump and then also open up his file on the guy you are accusing of possession of a controlled substance in another case? 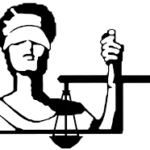 There is a reason why the scales of justice are blindfolded, so as to not give one side or the other an unfair advantage. At this rate, it won’t be long before the FBI is wire tapping the confessional boxes at church or raiding the files of our local priests. ← TRUMP TAKES ON AMAZON?